Masco Cabinetry toll-free at 855-891-7076 from 8:00 a.m. to 6:00 p.m. ET Monday through Friday, or through the registration form on this website for more information on how to receive a repair or full or partial refund. 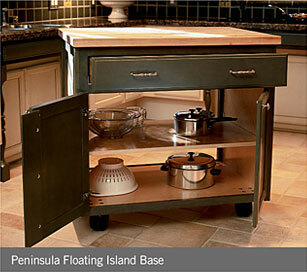 This voluntary recall involves the Floating Island Base, Peninsula Floating Island Base, Chopping Block Table, and freestanding base, vanity and tall cabinets specified with the Void Toe Kick option that are not secured to a wall or to the floor. There is one known incident of a tipover and no injury was reported. 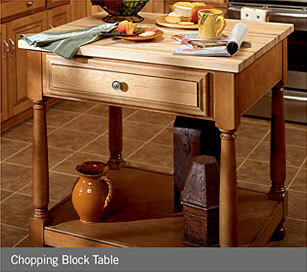 Lowe’s®, The Home Depot®, and other home-improvement retailers and kitchen and bath dealers nationwide. 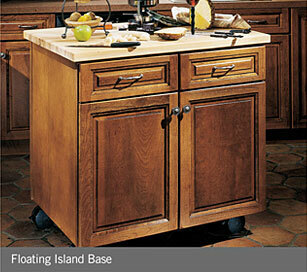 The Floating Island Base and Peninsula Floating Island Base were sold from 1999 through July 2016 for an average retail price of $661 (Floating Island Base) and $821 (Peninsula Floating Island Base). The Chopping Block Table was sold from 2000 through July 2016 for an average retail price of $1,222. Base, vanity and tall cabinets with Void Toe Kick option were sold from March 2004 through the present for between $98 and $1,697.